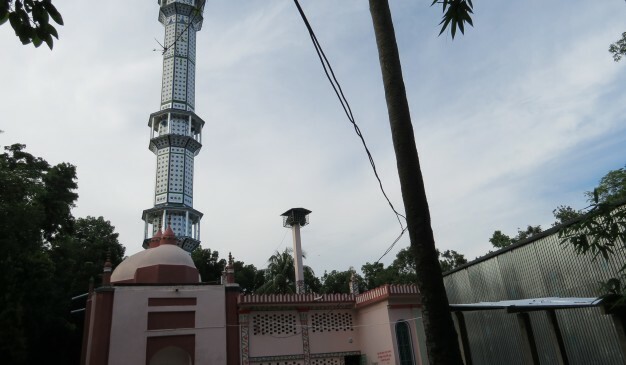 Vanga Shahi Masjid (ভাঙ্গা শাহী মসজিদ) is an ancient mosque in Bandura, Nawabganj. Its original year of establishment is not yet known. It is believed that it was built during the period of Mughal Emperor Jahangir, that’s why it is assumed that it was built around 600 years ago. 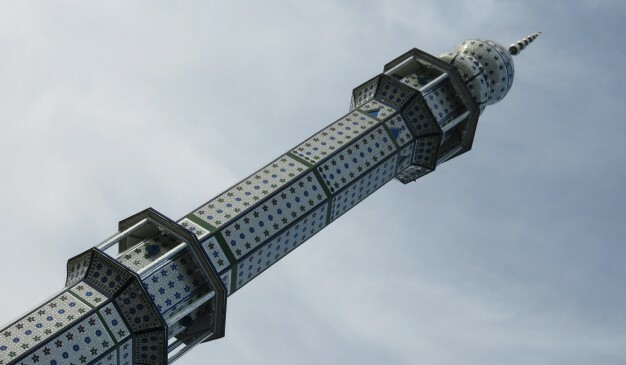 The mosque has a legend about it. It is believed that one morning some people found it in the jungle with unfinished construction work. 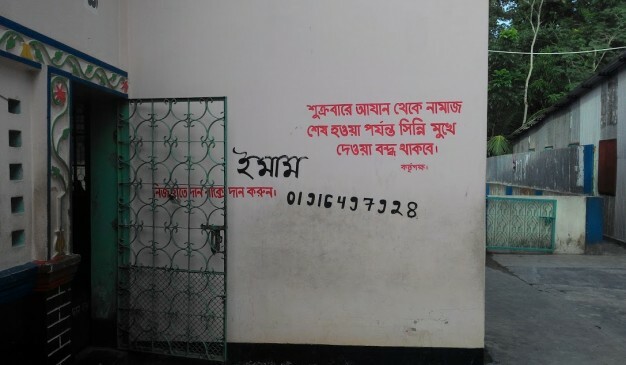 From that time the mosque has named “Vanga Masjid” as in the native language vanga (ভাঙ্গা) means broken. 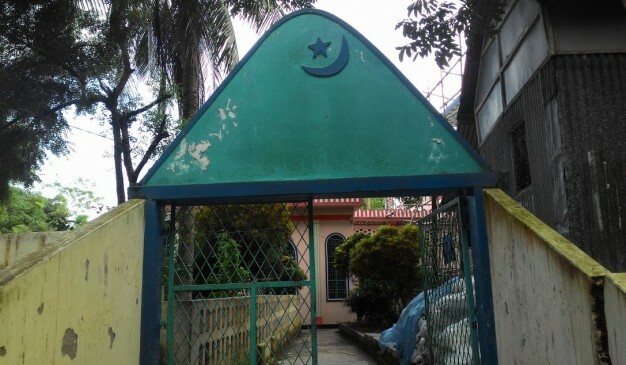 The Actual name of this mosque is still unknown. It’s very easy get there, once you have reached at Bandura Bus stop. Then ride on a Rickshaw or Auto-rickshaw to go at Notun Bandura Bus stop. From there this Mosque is Just few steps away. This is the sacred place for Muslim religious people. Since, you have entered into the Mosque, You will have to abide by some rules and rituals. It’s wise not to make any noises inside the Mosque Premises. And never enter into the Mosque for taking pictures or visiting while the prayer is on go. If you have had the experience to observe this type of Mughal Stylistic Mosque previously,then there’s a option for you to compare its architectural property with others. You will find some options to eat at Bandura Bus Stop or Natun Bandura Bus stop. They serve very local cuisine. you may also find some options at Nawabganj Sadar. click here to know about the eating facilities at Nawabganj. 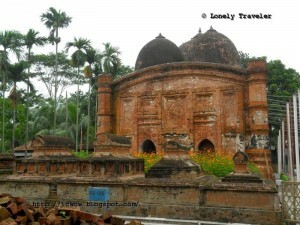 Golakata Mosque and Dighi were built in 16th century AD. 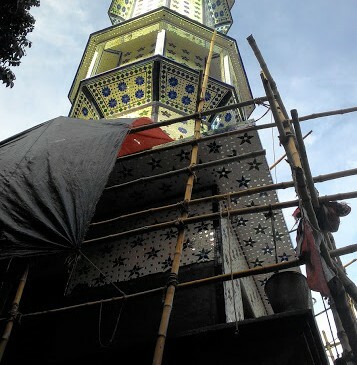 the mosque's gigantic structure makes it very special. It stands 150 feet tall. The steps were made by bricks. Recently it looks a bit distinct. It is mixed with some colors but white & reds are frequently used. There is a huge prayer space where many people say their prayer. 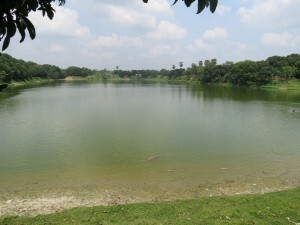 There is a very big Dighi known as Galakata Dighi. This place becomes very calm and relaxed in evening by the whining of birds. Many people come here to chill. This Dighi is filled with natural beauty. 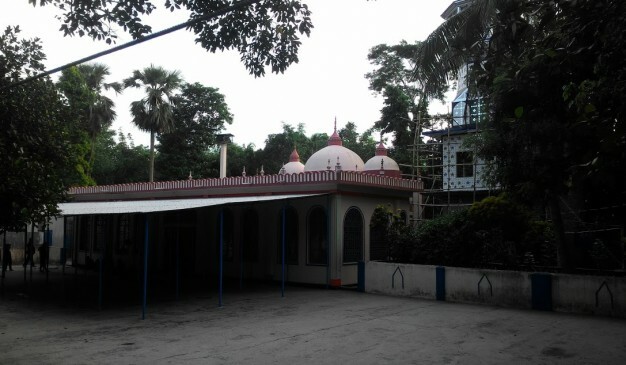 Name of the mosque is Kutub Shahi Mosque (কুতুব শাহী মসজিদ). This is basically a five dome mosque. One larger dome is at the center, and other four domes are near at the corner of the mosque. This is a rectangular shaped mosque and typical smaller one. That's why all the domes atop are jammed together. 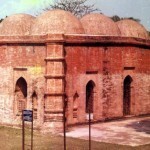 Central dome of the Kutub Shah Mosque (কুতুব শাহী মসজিদ) is slightly semi spherical shaped and the other four domes are the shape of oval (half of the oval). Each of the domes are having upside down like flowering ornate at the top. There is a doubt available between the scholars regarding the building period of the mosque. Some believe its 16th century and some believe it’s from 17th century. Whatever it is, the mosque was built by a saint named Kutub Shah (কুতুব শাহ), and the name of the mosque is taken after him. His grave is located exactly beside the mosque along with other of his companions (locals’ assumption). 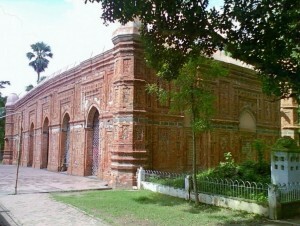 Bagha mosque was constructed on a western embankment of a large pond surrounded by brick and walls of 48.77sq meter. 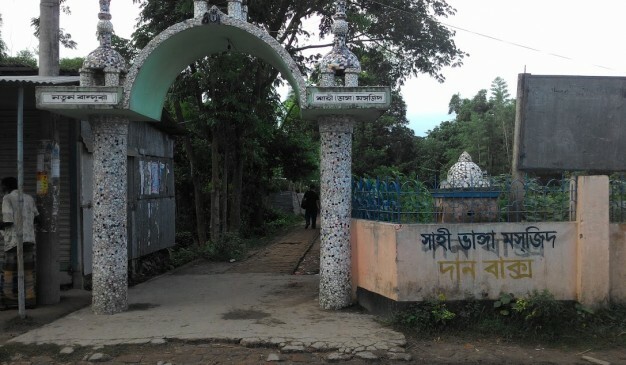 It is one of the major tourist attractions of Rajshahi. 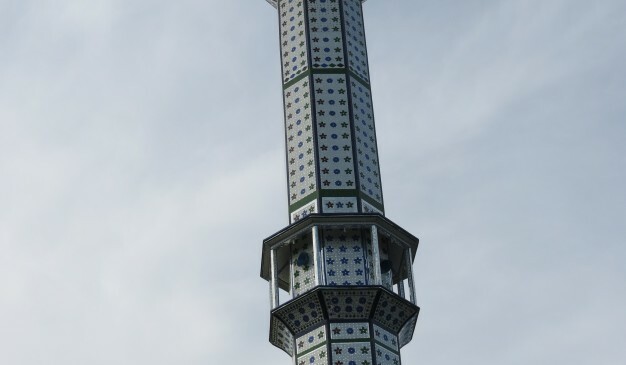 In reference to the inscription on top of the mosque it may be conclude that the mosque was constructed by Sultan Nusrat Shah in 1932 A.D. Initially its roof was over 10 domes but later those disintegrated. 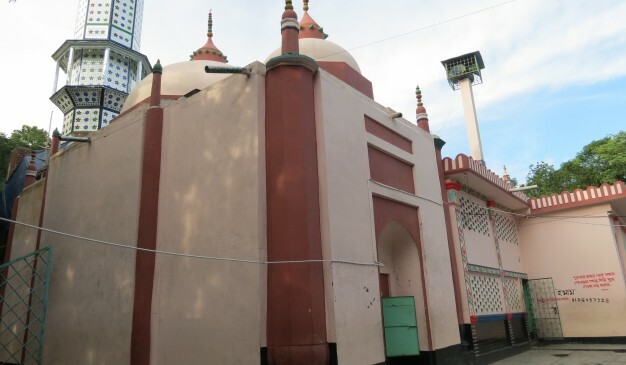 The mosque was constructed with brick and stone plinth. An earthquake in 1897 destroyed all the domes.